The Water Regulations Advisory Scheme (WRAS) is a conformance mark that demonstrates that an item complies with high standards set out by water regulations official proclamation in 1999 in the United Kingdom. It is enforced in the UK by the water supply companies. WRAS covers all plumbing systems, water fittings, and equipment supplied, or to be supplied, with water from the public water supply. It is not illegal to install a product such as water fittings in the UK without the WRAS mark but it may have to have compliance in other ways. Connection is PN16 flange type (pipe fittings not supplied). All water meters come with a pulse reader attached allowing the volume of water to be measured using a data logger. 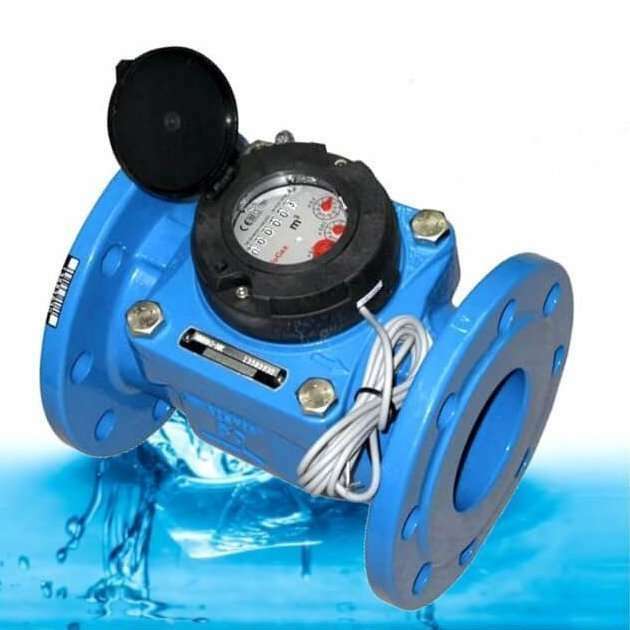 These water meters are also used for achieving BREEAM WAT 02 and 03 water consumption and water leak detection. Also available from Envirotech Alarms is the LeakSaver alarm designed to meet the requirements of BREEAM. This large size range (50mm to 300mm) offers easy standardisation for all your water meter requirements. Designed for measuring the flow and volume of cold water with pressures up to 16 bar and temperatures no higher than 30 degrees centigrade. All our water meters have WRAS approval, have been MID approved for billing requirements and can be used safely for potable drinking water. Suitable for installing in horizontal, vertical and inclined pipework.